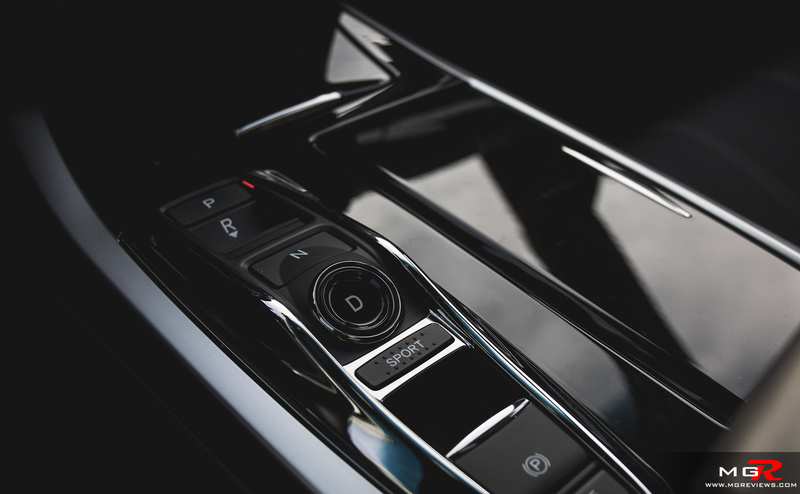 Every luxury auto manufacturer has a flagship vehicle that showcases the latest tech and innovations. 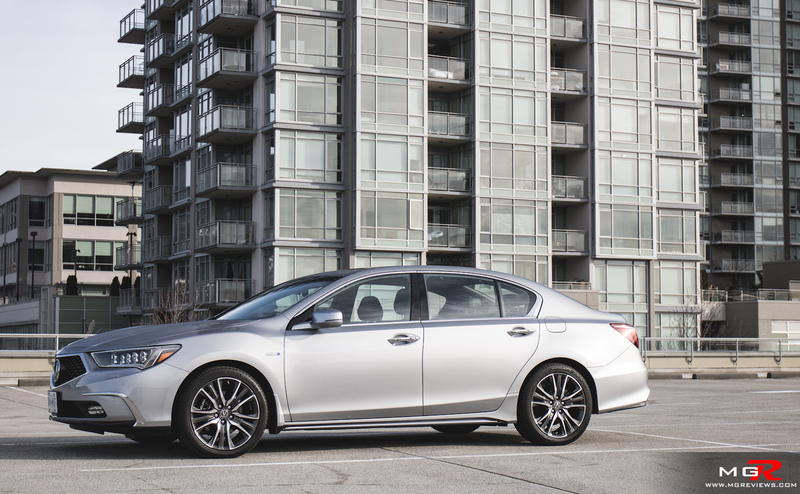 Acura’s is the RLX Hybrid. It’s been around for some time but for the 2018 model year it receives some updates to the looks and safety tech. 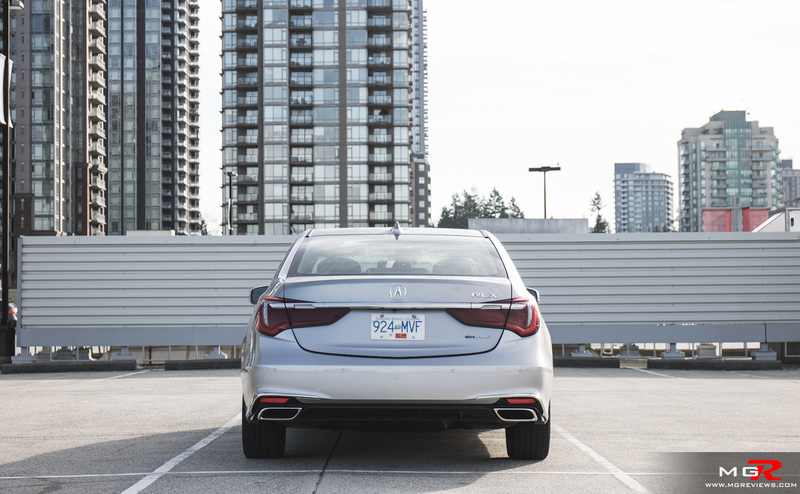 Engine – A 3.5L V6 is the only engine available with the RLX. It produces 310hp and 273 lb-ft of torque. But with the addition of the Hybrid powertrain, you’ll be getting 377hp and 341 lb-ft of torque. It’s not a plug-in hybrid system so don’t expect to be driving around on just electricity alone for long periods of time. 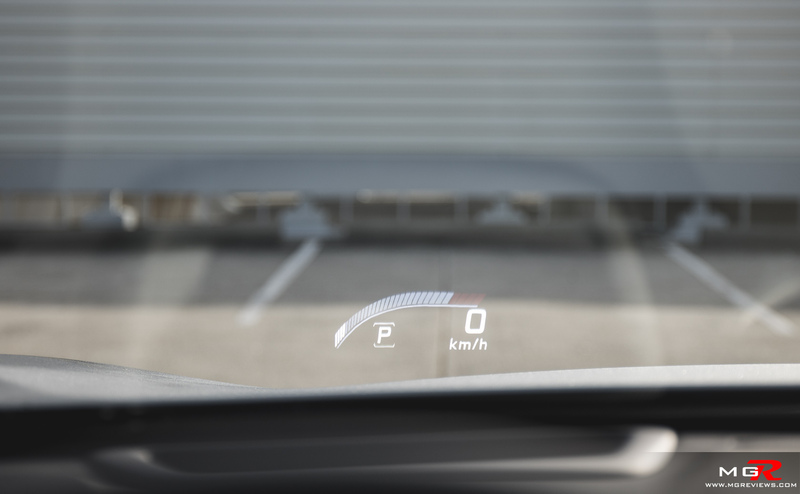 There are some instances where the car will drive on the electric motors alone such as at a constant highway cruise or when maneuvering around a parking lot. Otherwise the V6 engine will kick in to provide acceleration when setting off from a stop or when you want to have some fun. 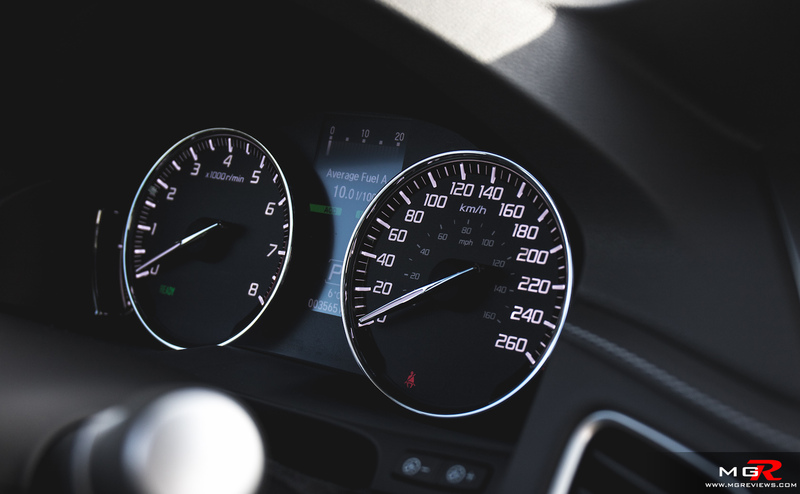 Due to the nature of electric motors and how they operate, torque is instantaneous which makes overtaking a breeze on a highway. The engine will automatically recharge the batteries once they get below a certain threshold of charge or they can be recharged via regenerative braking. The whole point of a hybrid is to save on fuel and in my week of driving the RLX, I managed to get a combined fuel economy figure of around 10.0 L/100km. It is rated at 8.4 L/100km on a combined cycle and had I been more careful with my driving, I could have reached that figure. But I was too throttle happy with the torque. 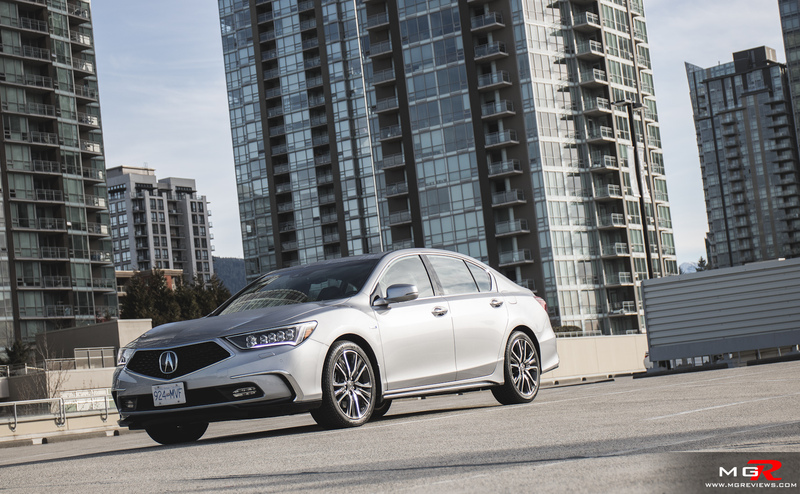 Transmission – V6 engines and automatic transmissions have not been a good combination for Honda/Acura in the last few years as reliability has been sketchy. 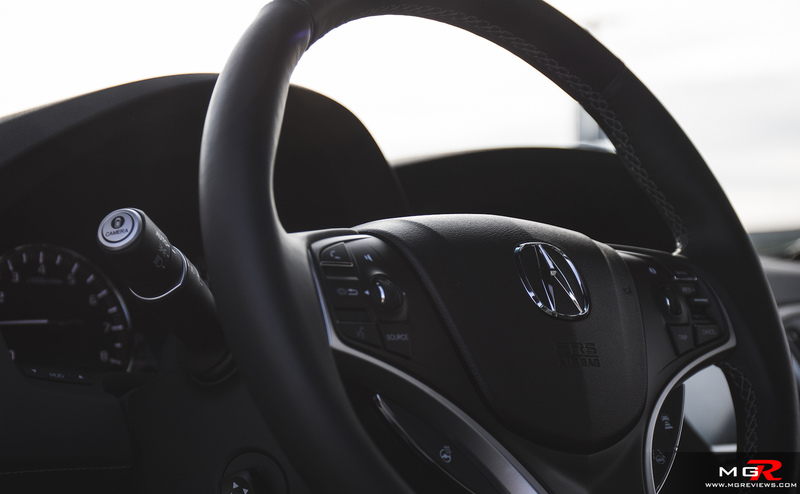 But this Acura RLX is equipped with a 7-speed dual clutch transmission. Regardless if it’s cold or hot, the transmission shifts smoothly and quickly. Braking – This is a big and heavy car so more brake pressure than one would expect is required to bring the 2 ton car to a stop. As mentioned before, applying the brakes lightly will only slow down the RLX via regenerative braking. But overall the brakes feel solid and emergency automatic braking is standard. Handling – Technically this is an AWD vehicle but there is no physical connection between the engine and the back wheels. Instead each rear wheel gets its own electric motor (with one more attached to the engine). 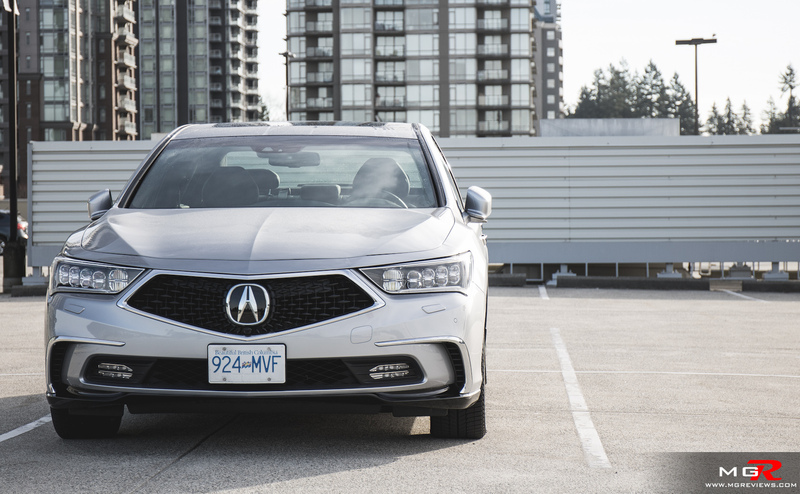 With the electric motors on each rear wheel, the Acura RLX can provide real torque vectoring which makes it feel more agile through corners and on exit out of a corner. For such a big vehicle, the SH-AWD system makes it feel light on its feet… or rather tires in car talk. 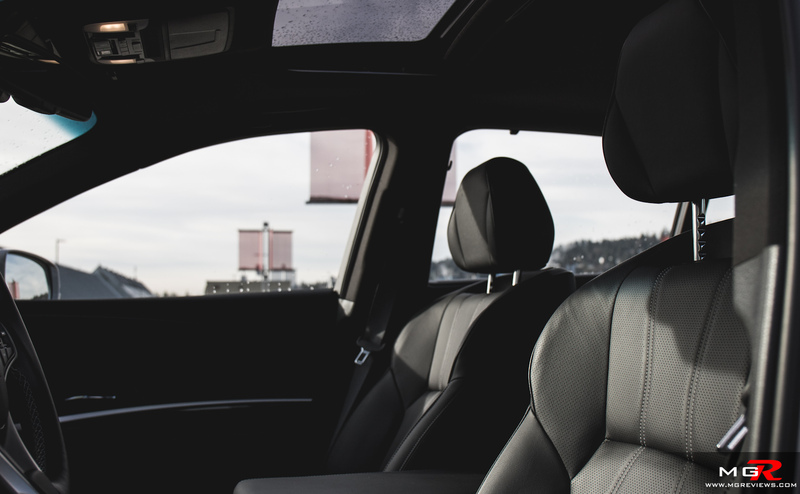 Ride Comfort – This being a flagship luxury sedan, the Acura RLX offers a supple and smooth ride. 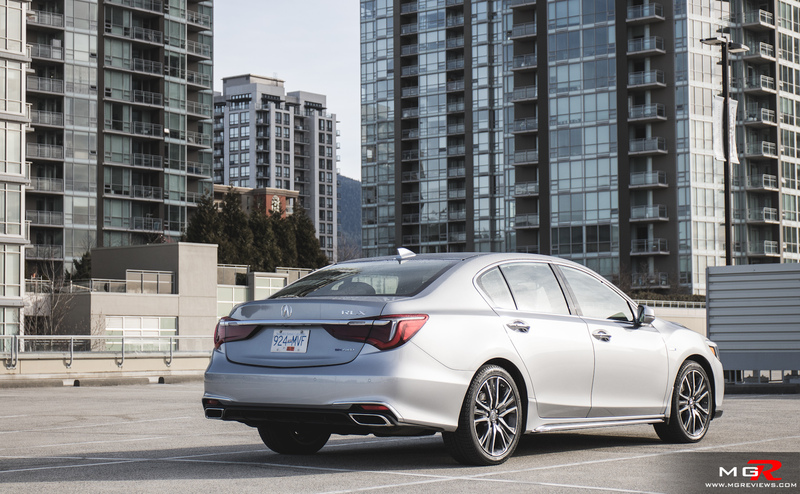 The suspension absorbs bumps and road imperfections with ease however when driving over an undulating piece of road, the RLX can feel a bit more “boat-like” in how it moves. 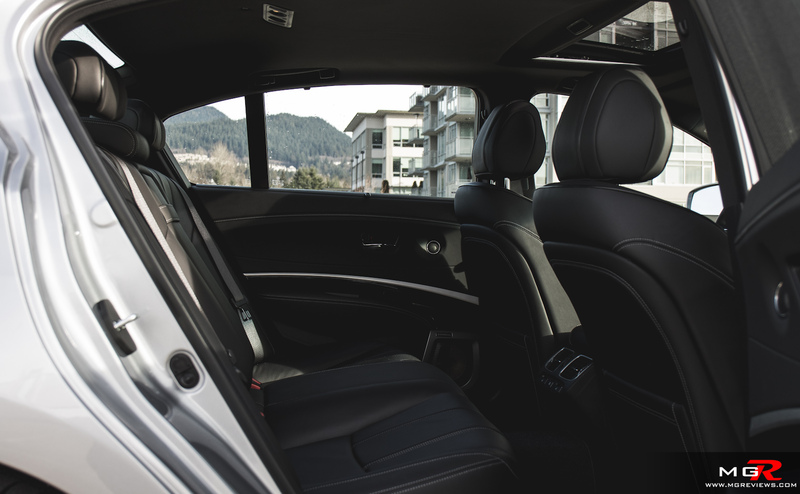 The front seats are very comfortable and have the right position for anyone of any height or body type. The rear seats are also equally comfortable with a good amount of leg and headroom. 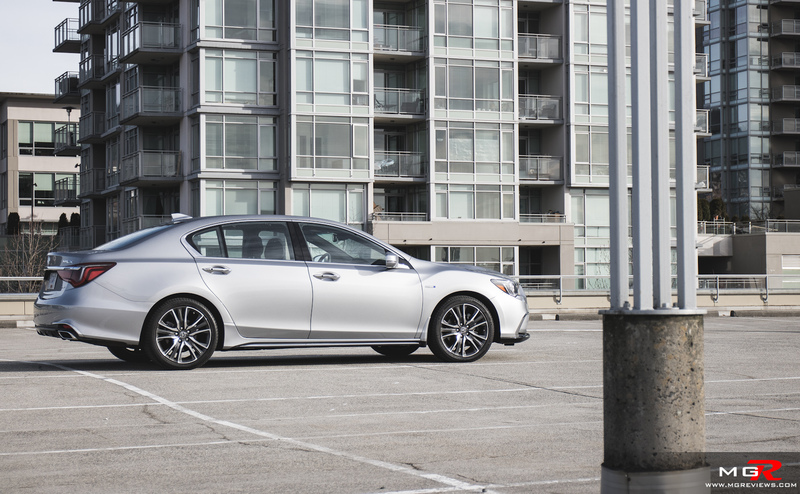 Noise, Vibration, & Harshness – Noise is something you rarely have to worry about in the Acura RLX Hybrid. When cruising on a highway on electricity alone, there is very little noise intruding into the cabin from the wind or tires. Obviously it’s quieter still when driving slowly through city streets on electricity alone. The V6 engine is very smooth and doesn’t translate any vibrations into the cabin when it’s running. It also makes a decently nice noise when you’re driving the car more enthusiastically although I’m sure some of that noise is enhanced by the speakers. 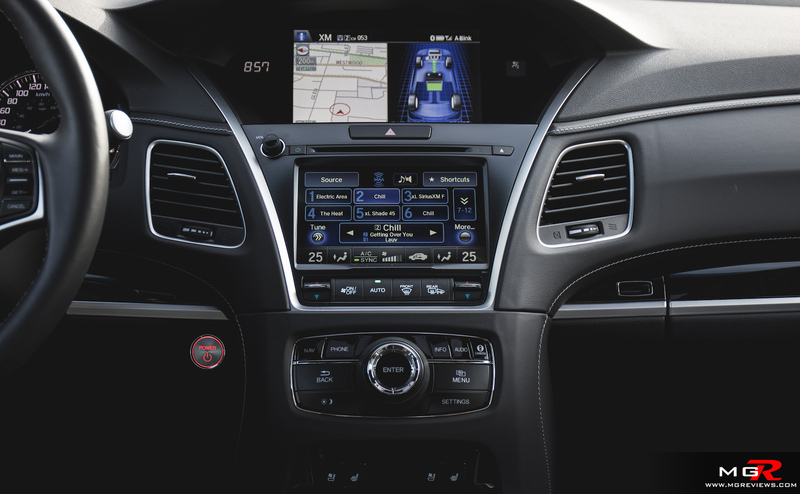 Interior Design – The RLX, like many other Acura models, has the same dual screen infotainment & climate control design. It’s not the most intuitive system to use and in today’s age of ever evolving vehicles, it is looking a bit old. 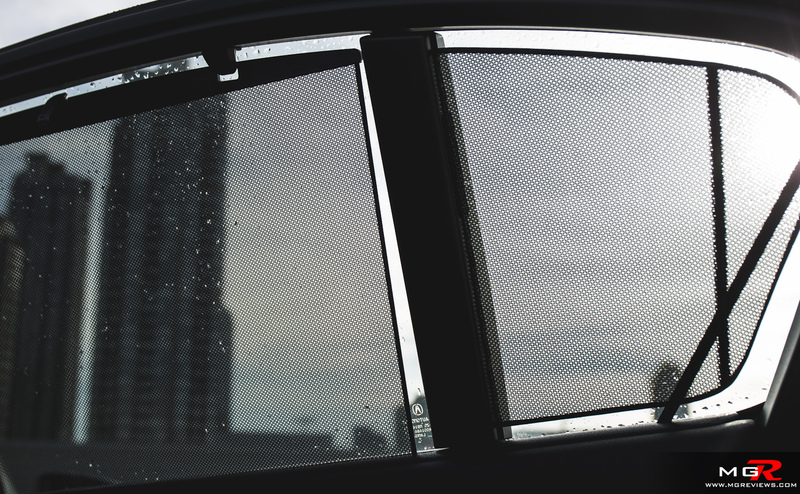 The rest of the interior is covered in either leather or soft touch plastic. 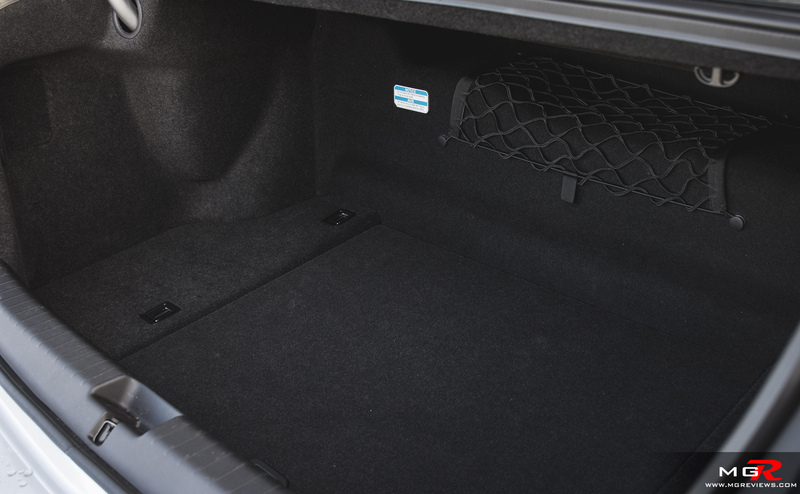 The trunk unfortunately is on the small side for such a large sedan due to the Hybrid batteries that take up some of the trunk space. 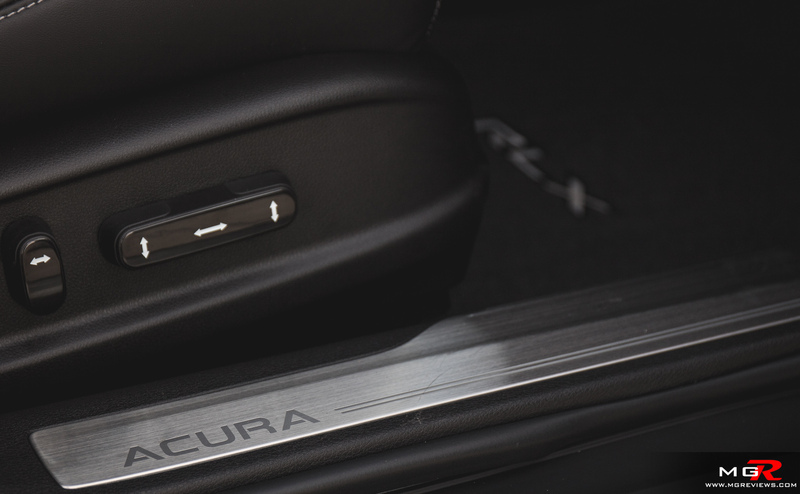 Gadgets – In terms of technology, the Acura RLX Hybrid comes loaded with everything that’s available from Acura. Heads-up display, 360 cameras, adaptive cruise control, lane keeping aid, emergency automatic braking, heated and ventilated seats, power rear sunshades, and so on. This car has it all. The only thing it can’t do is drive itself but currently we are just on the tip of that iceberg in terms of self-driving tech. Exterior Design – Let’s just get this out of the way, I don’t like the front grille of the RLX. It’s too “in your face” and it’s exaggerated by the extra large Acura badge. The headlights I do like. The “mirrored” design looks unique and the LED headlights are very bright at night. Around back, more LED tail lights that are bright at night and easily grab the attention of drivers behind you. 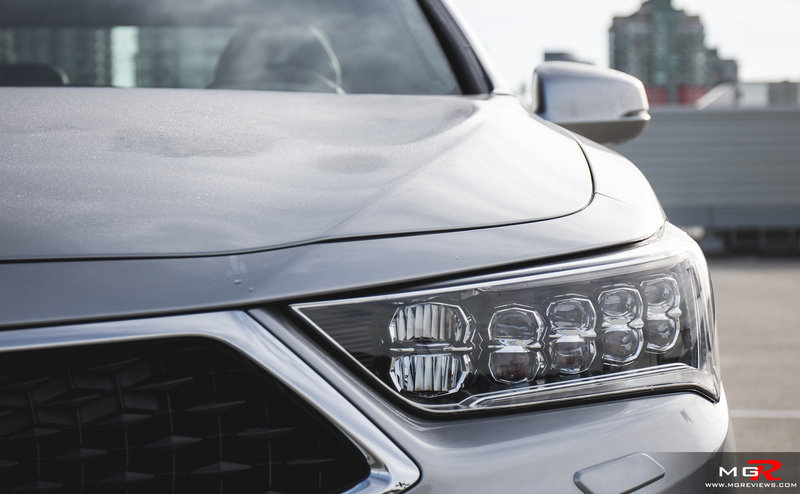 Overall the exterior design of the Acura RLX is in line with a flagship vehicle but for me, I can’t get over that grille. 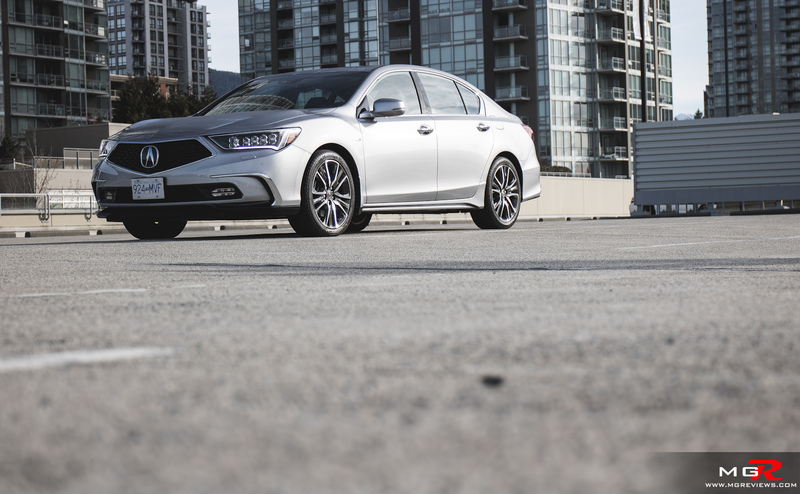 The 2018 Acura RLX Hybrid is a great car overall. Yes, the interior is falling a bit behind styling wise but it’s still a quiet and comfortable place to be in. Price isn’t too bad either for a Hybrid luxury sedan at just over $71,000 CAD for this top Elite trim. Unfortunately not many people these days want luxury sedans. 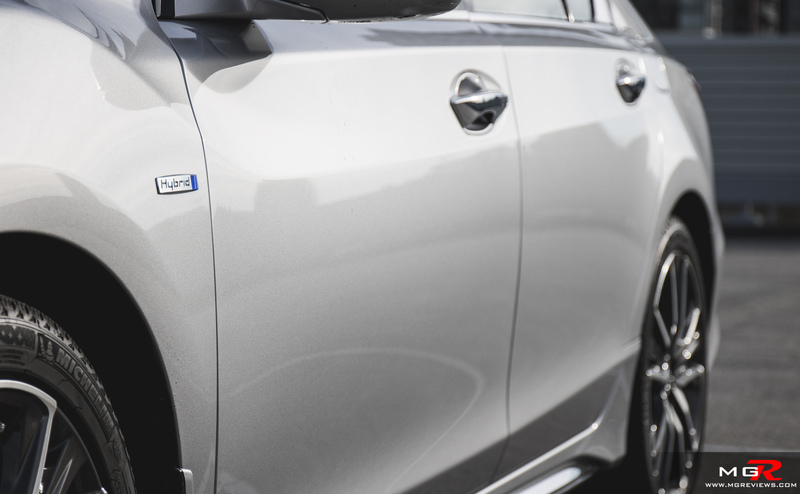 They prefer luxury SUVs that have the same available features but with more practicality.